Elemis are a luxury skincare brand with an excellent reputation in the beauty industry. Citing Cara Delevingne, Natalie Dormer and a whole slew of supermodels amongst their dedicated clientele, Elemis are a must-have range if you enjoy the finer things in life. However, this brand is more than just gorgeous packaging and famous endorsements--with a wide range of tailored products that suit every skin type and need, they’re considered the #1 luxury skincare brand in Britain, and have a similar following all around the world. Elemis cite natural, biological active ingredients as the driving factor behind their brand. Sick of skincare filled with additives that provided no tangible benefits for the skin, the brand’s founders set out to enact some change. As a result, Elemis products focus heavily on ingredients that have proven, long-term effects on the skin, and don’t count ‘filler’ ingredients amongst their list of inclusions. Each ground-breaking formula from Elemis has been carefully curated to deliver a stunning range of benefits for the skin, drawing on a unique mixture of nature and science. The brand take a tailored, personalised approach to skincare, and so, boast different ranges suited to various skin types. Whether you’re concerned about the physical signs of ageing, suffer from uneven skin tone and pigmentation spots, or are trying to banish stubborn breakouts, there’s something from Elemis for you. Creating your ideal routine has never been easier. The coveted Elemis Pro-Collagen range is ideal if you want to turn back the clock on wrinkles, fine lines and elasticity loss. From cleansers to moisturisers, eye creams and serums, this diverse line of products makes your dream of plumper, younger skin a reality. In addition to collagen-boosting favourites, natural ingredients such as chlorella, quartz and a range of natural oils work to smooth and soften the skin. Another key product line from Elemis is the Pro-Radiance range, which boasts brightening solutions ideal for giving tired, dull or pigmentation-prone complexions a much-needed boost. These products are packed full of antioxidants, including noni, moringa oil and many more, to ensure ultimate protection against damaging elements. Balancing and hydrating ingredients work to even out the skin tone and improve the overall look and feel of your complexion. 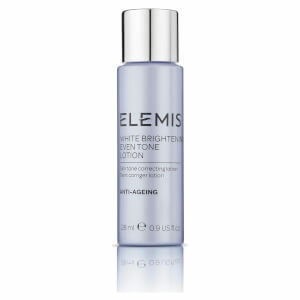 Of course, these are just two of the numerous ranges that sit under the famed Elemis banner. If their strong cult following or long list of awards aren’t enough to convince you, perhaps it’s time to work some of their beloved formulations into your daily skincare routine. 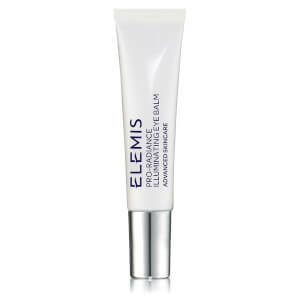 Once you’ve tried Elemis, you’ll never want to switch up your skincare again--the results are just that good! Shop Elemis today with Facial Co, your official stockist. We offer free Australia-wide shipping on all orders over $99, plus select Afterpay at checkout to shop now and pay later.